Mac os Cleanup not working. Backup version cleanup is not working. I have a 1TB drive. the backup size is now 2TB and the backup drive has run out of space. The cleanup was set to 10 versions or 6 months; both have easily been exceeded. I have also now set the max versions to 1 and days to keep to 1; yet the backup file is still 2TB. 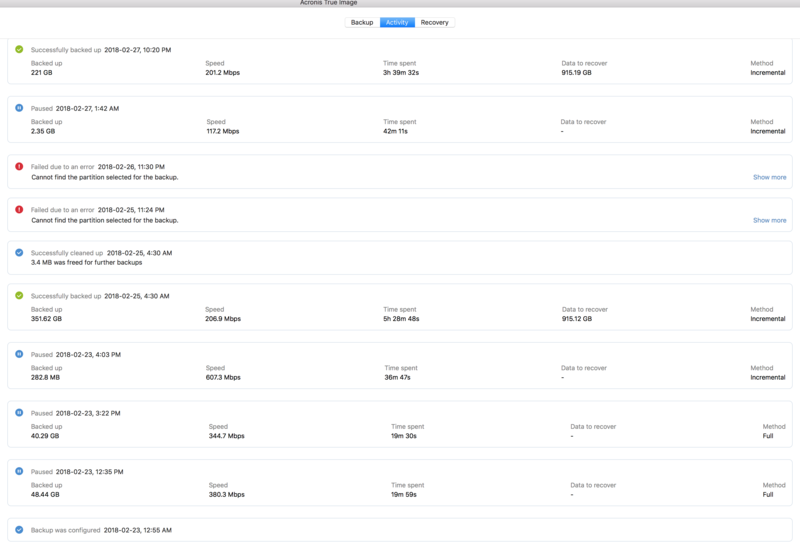 Backup beginning log, ending log and backup file size screen shots.